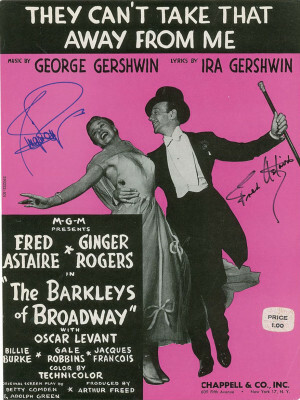 This song was written for the 1937 Fred Astaire – Ginger Rodgers movie Shall We Dance. 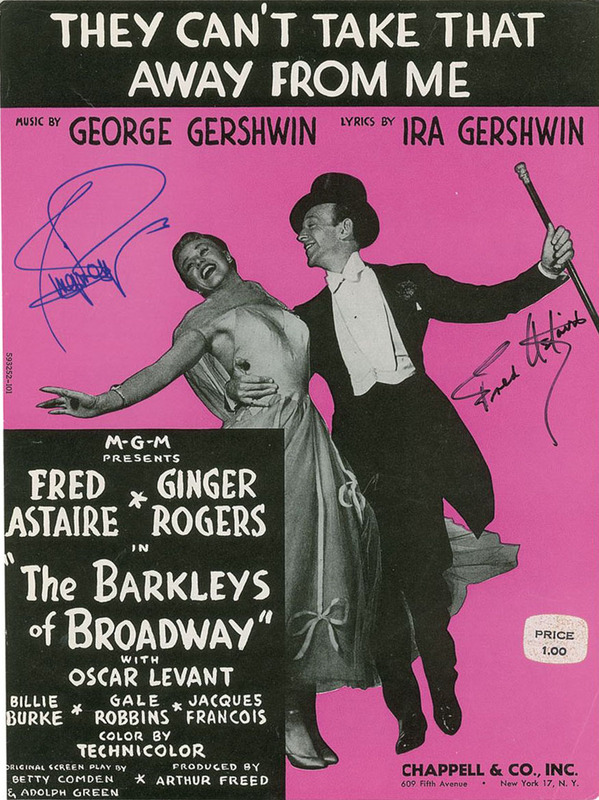 Unlike most songs that Astaire introduced in his films, there was no dance number associated with “They Can’t Take That Away From Me.” It is one of the Gershwin’s finest love songs. George Gershwin died just two months after this film was released. No, no, they can’t take that away from me! No, they can’t take that away from me! “They Can’t Take That Away From Me” was recorded on October 16, 1967 and released that year on the album For Once In My Life. It was arranged by Torrie Zito. “They Can’t Take That Away From Me” was recorded in July 1993 and was released that year on Steppin’ Out. It was arranged by Tony Bennett and Ralph Sharon. “They Can’t Take That Away From Me” was recorded and televised live on April 12, 1994 on MTV. The song was recorded as a duet with Elvis Costello. The MTV Unplugged album was released in June of that year. The songs from the televised concert were arranged by Tony Bennett and the Ralph Sharon Trio.